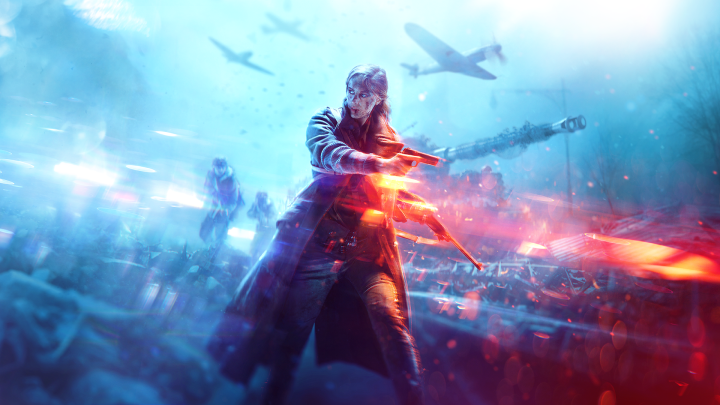 After weeks of rumors, EA has finally revealed Battlefield V. As DICE's big return to World War II, the developer wanted to go back to the series' origins while showing a different perspective and level of detail to the epic conflict. The recent livestream offered an extensive breakdown of the game's content, and though a rumored battle royale mode was notably absent, we have a better idea of what's to come in the next Battlefield game. Here's everything we know so far about Battlefield's return to World War II. Battlefield V is an upcoming World War II first-person shooter developed by DICE, the same developer behind the entire franchise, including the original Battlefield 1942. Players will take part in several large-scale land, sea, and air battles during the Second World War, continuing a series tradition. Focusing on British and European forces--with other sides coming in later updates--you'll see unique perspectives of the conflict, including the Northern African campaign, the Battle of Rotterdam, and the occupation of Switzerland and Norway. With a greater focus on in-game storytelling, both in the returning War Stories and multiplayer matches, players will also have the chance to create their own unique squad of soldiers and take them on a series of missions online in co-op and multiplayer. How Can I Play Battlefield V? Battlefield V will be available on PC (via Origin), PS4, and Xbox One for all users on October 19. However, players who subscribe to EA/Origin Access and who pre-order the game will be able to access the free trial early on October 11. Pre-ordering the Deluxe Edition will open up the game on October 16. However, the developer is also planning an open beta at an unspecified date, allowing everyone to get a chance to experience the game prior to its October launch. War Stories: This mode, which returns from Battlefield 1, an anthology series of story missions that showcase many of the struggles and moments of heroism during the most trying battles of World War II. The War Stories in V will focus more on battles and perspectives that aren't all that well-known. During the livestream, we saw a teaser for one of the War Stories set during the German occupation of Norway in 1943. You play as a young resistance fighter who has to confront the invading forces while trying to protect her loved ones. While the last game launched with only six story War Story missions, Battlefield V will launch with its own set of missions and will gradually see new ones added as a part of ongoing content updates for the game. Grand Operations: As an evolution of the Operations mode--long-form, narrative-driven multiplayer matches set across a series of maps and gametypes--Grand Operations takes things further by incorporating new gametypes and locales. Taking place over several in-game days, Grand Operations features a tug-of-war-style approach to engagement. Each victory will give the winning side added momentum, while the losing side will have to overcome increasingly difficult obstacles--including less ammo and tickets for the next round. Compared to Battlefield 1's Operations, the next game will feature more variety in its locations, objectives, and special conditions for both sides. Combined Arms: In a brand new four-player co-op mode, players can take their custom soldier online to take part in a series of missions with other players. In these levels, the soldiers will have to complete a variety of different objectives, such as paratrooping behind enemy lines to secure key assets. Putting players in battles against increasingly difficult odds with challenging goals, an AI mission director will add in new obstacles and spawn enemies depending on how your squad is performing. All progress gained from Combined Arms for your soldier and their class can be carried over into the core multiplayer mode. Fortifications: In response to the pace of the Conquest mode in past games, DICE created a new feature called Fortifications to affect the speed at which buildings and forms of cover are destroyed. With the new fortification skill, you and your squad can reinforce areas of the map with added defense against enemy bombardment. This includes fortifying buildings, adding gunner nests, and even fortifying flags that the enemy will try to capture. Building fortifications will cost resources, so players will have to carefully choose what they want to build. Tides of War: DICE plans to gradually roll out new content on a set schedule known as the Tides of War. This feature will also introduce timed events focusing on particular battles with set conditions, pathways to special rewards, and special community events centering around a battle of the war. Eventually, Tides of War will add in new sides to experience the war from, along with new maps and weapons to acquire. Interestingly, this calendar will also match up with a similar timeline from the events of World War II, with new sides and locations gradually being added into the game as it happened during the six-year conflict.